Nourish your mind and body at the Experience Wellness Keynote Dinner Saturday March 19-- and nourish the Yellow Springs Arts Council at the same time. The keynote dinner, a major fundraiser for the Arts Council, features Dr. Sherry Wheaton, speaking about the mind-body connection. Events on Saturday include five tracks of workshops, concluding with a festive healthy dinner and two additional opportunities to talk to Dr Wheaton. She will teach a small group session titled "Trusting the Messages of Your Body" at 4 pm, and appear with a special VIP group at 5:30. Tickets for these events as well as the dinner are available at http://www.yellow-springs-experience.org. A raffle of art and services to benefit the Yellow Springs Arts Council will also be held. All of the Saturday evening events will be at Antioch University Midwest. Sherry Wheaton MD is a physician who enjoys exploring the cutting edge. She began practicing geriatric medicine in 1985 in the Dayton, OH area when very few understood the value of this field. Because of her commitment to education and self-responsibility in health care, she became a CBS on-the-air health reporter in 1992. 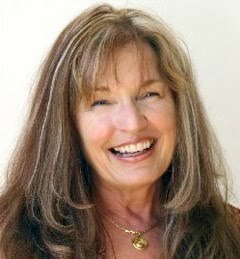 After a life changing accident in 2000 (a dog attack), Sherry transitioned into the symbolic world of Jungian psychology, seeing modern medicine as a rapidly growing machine focused on eradicating the symptom while ignoring the deeper meaning. Because many of these symptoms have their roots in trauma, Sherry has recently completed the Trauma Resiliency Model training and has begun facilitating the modules. Sherry believes the 21st century healer must learn to listen to the messages of the body, not treat the body as something to be manipulated into submission. She believes the body has something important to say. The Arts Council has planned an entire weekend of events, beginning Friday March 18 with an exhibit about healing art at the Arts Council’s home at 309 Xenia Avenue, which will also function as the welcome center for weekend patrons. Music, refreshment and special speakers will be featured before participants begin workshops. Workshops continue Saturday and Sunday at various locations in the Village. For more details, visit the Experience website, listed above, or call 937.532.6237.